Seven political parties are in the running in the second democratic, municipal elections that will take place in Somaliland on 28 November 2012. The Somaliland Municipal elections will take place on November 28, 2012. There are seven political parties who are contesting and nominated candidates in this election; it is the second time the Municipal elections will take place in Somaliland, the first Municipal election took place in 2002, and that started very successful democratic progress in Somaliland. Since then there has been a Parliamentary election in 2005, and two Presidential Elections in 2003 and 2010; according to the International Election Observers who monitored those elections; the Somaliland elections were conducted freely and fairly based on the International Election standards. The 2012 Municipal election is significant for Somaliland people in many ways; it determines the local leaders i.e. Mayors and City Councilors for Cities, it also determine who are the three parties who will be certified as National Parties based on the number of votes received and those three parties will qualify to contest in the future Parliamentary and Presidential elections over the next ten years, and most importantly this will further strengthen and complete the democratic progress in Somaliland that started in 2002. There is a 55-member strong team of the International Election Observers in Somaliland who are ready to deploy at 1700 polling stations to monitor the Municipal election on November 28. Dr Steve Kibble of Progressio who is the IEO Coordinator said "We are pleased to be in a peaceful environment where issues are resolved by negotiation and discussion and relevant institutions are working towards a free and fair election. We hope this situation continues." The International Election Observers represent 15 countries including Canada, Denmark, Ethiopia, Finland, Ireland, Italy, Kenya, the Netherlands, New Zealand, the Philippines, South Africa, Sweden, Uganda, the United Kingdom and the United States of America. President Ahmed Mohamed Silanyo who was elected in 2010 and won against an incumbent President Dahir Rayale has called on Somaliland citizens to exercise their right as citizens and cast their ballots to elect local leaders peacefully; and he said "to do so will make our democracy stronger and will protect our liberty, which we have sacrificed so much to obtain.". Somaliland is an independent sovereign nation, but has not been recognized by the International community yet. Somaliland has achieved peace and stability, democratic progress, and vibrant economy that are improving the standard of living for its people; all of it without any help from the International community. Somaliland contributes to the International efforts to fight piracy and extreme elements in the Horn of Africa. Somaliland will face another test on Wednesday, November 28, 2012 to conduct municipal election peacefully, freely and fairly. 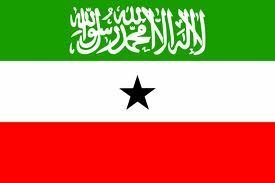 I'm confident Somaliland will pass this test on Wednesday again, and I call on all political parties to follow the rules agreed upon, respect the law and order, and accept the results of the election as has been the Somaliland tradition for the past ten years. It is time for the International community to support Somaliland.